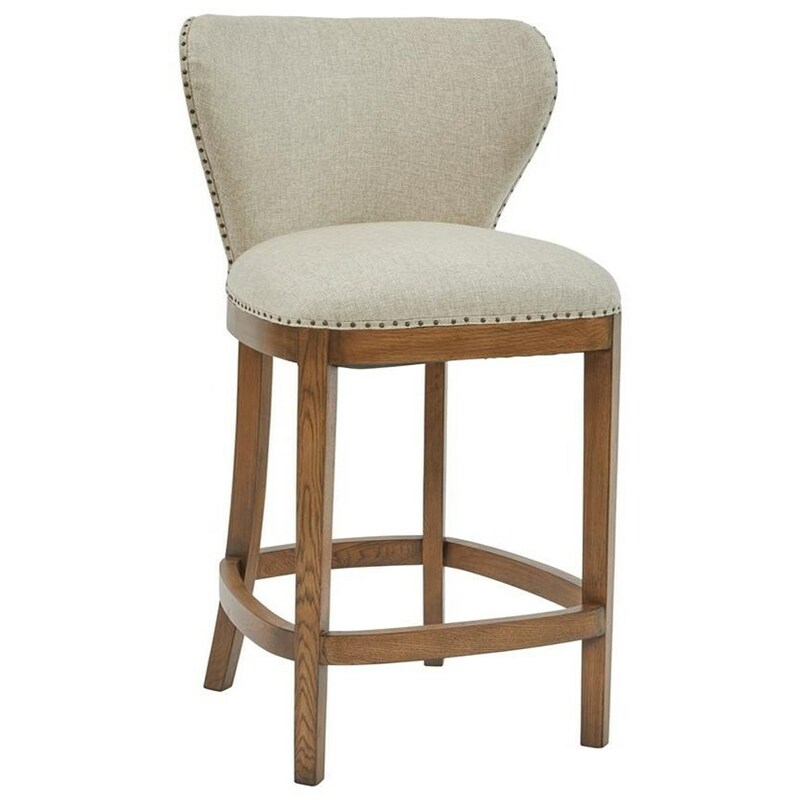 With its linen-like fabric and nailhead trim, this deconstructed counter height barstool has a chic farmhouse design. A warm oak finish on the wood legs adds the perfect touch of rustic warmth. The Modern Authentics Deconstructed Counter Height Upholstered Barstool with Exposed Wood Back by Pulaski Furniture at Great American Home Store in the Memphis, TN, Southaven, MS area. Product availability may vary. Contact us for the most current availability on this product. The Modern Authentics collection expertly blends classic elements with modern silhouettes and rustic materials for a look that's rooted in tradition, but updated for today's contemporary homes. Wood frames in natural finishes bring a sense of warmth to each piece, while linen-like fabrics keep each look relaxed, yet put-together. From farmhouse accents to Parisian-inspired living room centerpieces, you'll find the perfect piece to curate your own home. The Modern Authentics collection is a great option if you are looking for Relaxed Vintage Transitional Casegoods and Upholstery in the Memphis, TN, Southaven, MS area. Browse other items in the Modern Authentics collection from Great American Home Store in the Memphis, TN, Southaven, MS area.